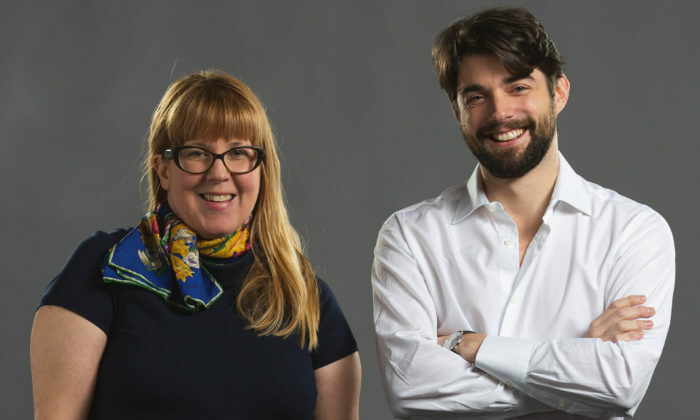 Havas Media Group has appointed Thomas Minc (pictured right) as managing director, global strategy, and Ellen Zaleski (pictured left) as managing director, global insights. Both Minc and Zaleski report to Havas Media Group’s global chief strategy officer, Greg James. The duo will co-lead Havas Media Group’s ongoing initiative to translate data into tangible next steps through updates to processes, media metrics, and tools for the entire group. Minc first joined Havas in 2010, and over seven years worked in various roles, from research analyst up to VP group director leading Havas Sports & Entertainment. In 2016, he left to become managing director of Sopexa USA, a global integrated marketing agency. In his new role, Minc will focus on the implementation of a new strategic planning process, support local and global strategy teams, and share thought leadership across the Havas Media network and wider industry. Meanwhile, Zaleski joins Havas Media Group from footwear and apparel giant Nike, where she was director of consumer knowledge. In her new role at Havas Media, Zaleski will work to build and further develop the insights-based services for Havas Media Group and its clients. James said that the agency is looking at the bigger picture, keeping out of the weeds and re-focusing on media which is what clients need in a complex landscape. “I am excited about Thomas and Ellen joining the global media team, as we’ve seen a significant appetite from clients to return to the core of media—great insight, clear strategy and brilliant, hard-working media thinking,” he added. Zaleski said that this is an opportunity to redefine media for the teams, clients, and the industry, adding that the commitment to meaningful media enables the team to set new standards and goals and lead through innovation. “It’s great to be returning to Havas, there’s been so much positive change—from the renewed focus on meaningful media to our increased attention on our ways of working and our culture. The progression is impressive, and this is just the beginning,” Minc said. Months earlier, Havas Group promoted Anita Nayyar to CEO of Havas Media Southeast Asia, a move which is in addition to her role as CEO of Havas Media India. The newly created role will see her reporting to Vishnu Mohan, chairman and CEO of Havas Group, India & Southeast Asia and is effective immediately. The monument was built in 1941, before World War II ended, but was recently rehabilitated. However, it is also deemed as a popular..
Scripps Networks Interactive has named Cheah Chee Kong (CheeK) (pictured) head of content, creative and marketing of Asia Pacific,.. In the lead-up to the 2017 FIA Formula E HKT Hong Kong EPrix in December, Formula E and TBWA have launched an integrated campaign ..